RioSys is specialized in providing remote input and output system series module for measurement and control. According to the startup co-founder Gevorg Parsyan, the team currently consists of 4 people. He notes that new members will join the team after starting the sales and increasing product line. “Our team is partially working in Bitlis-MEN company, which provides various educational trainers for the universities and colleges. It is a big market, where we had to be competitive technically and in terms of prices. During our investigations we concluded that our trainers must be based on low-cost controllers to be competitive in the market and also affordable for the end-users”, he explains. However, Gevorg Parsyan notes that the low-cost controllers have many technical limitations. This is the reason why the team decided to design and create add-ons for such controllers to fill those limitations and make them fully usable and applicable for universities and colleges. “We called the add-ons RIOsys which will have various products for low-cost controllers like chassis, different IO (input-output) modules, software API, etc,” he told. Talking about the uniqueness of the solution, the startup co-founder notes that they have designed the RIOsys modules such a way, that it could be applicable to almost any low-cost re-programmable controller. “The modules are based on high-quality data acquisition elements. Their performance is practically comparable to industrial grade modules existing in the market. We also provide software API, so the users can use it in their own projects and research activities. RIOsys is low in cost and very affordable for the end-users,” Gevorg Parsyan explains. RIOsys has received grant from STEP program in 2017. According to the startup co-founder, it was a huge and useful step for the startup. “It came in the right time, when the idea was already mature enough to be implemented. In addition to financial aspect, the grant program also supported us with right mentors, who helped plan our business properly,” he explains. 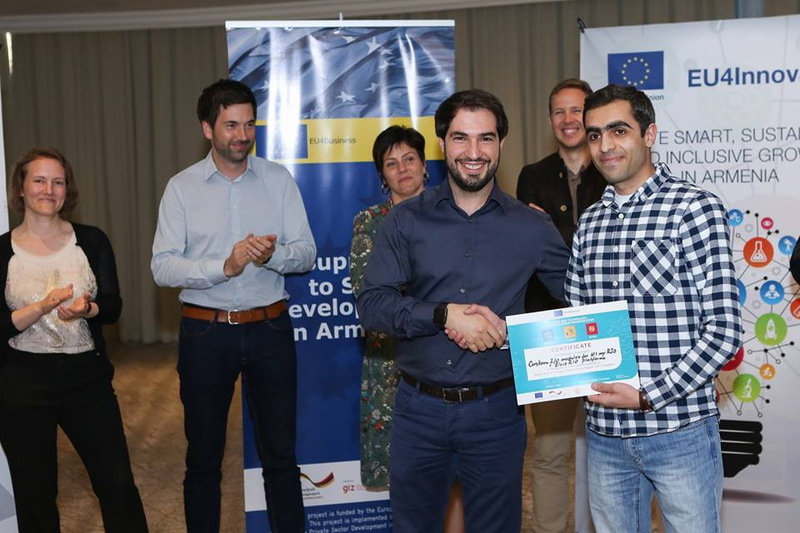 For the startup, EU is a potential and yet a hard-to-enter market, especially for Armenia-based companies. “From the technical point of view, EU market has some regulations related to standards, which is hard to certify in Armenia (like CE certificate). The fact makes some companies do the certification outside of Armenia, which increases their costs by times,” Gevorg Parsyan explains. So, according to him, there is a lot to do in the overall infrastructure here. “The companies and start-ups like us can manufacture their products compatible to EU market. We really hope this issue will be fixed soon and we will be able to offer our products to European customers as well,” Gevorg Parsyan adds. As an early stage startup, RIOsys was facing difficulties only concerning the financial aspect. Other challenges were not that important, because, according to the company co-founder, they had a highly qualified team with years of experience working together. The startup is currently in its development stage and has huge plans for 2019. “Very soon we will have the alpha prototypes for some of RIOsys products. Afterwards we plan to work and find finances for making the beta prototypes as well and have ready-to-sell products by 2020,” Gevorg Parsyan concludes.